Masks are a popular tradition in many cultures. African masks were worn for celebrating victory, to ward off evil, and for storytelling. 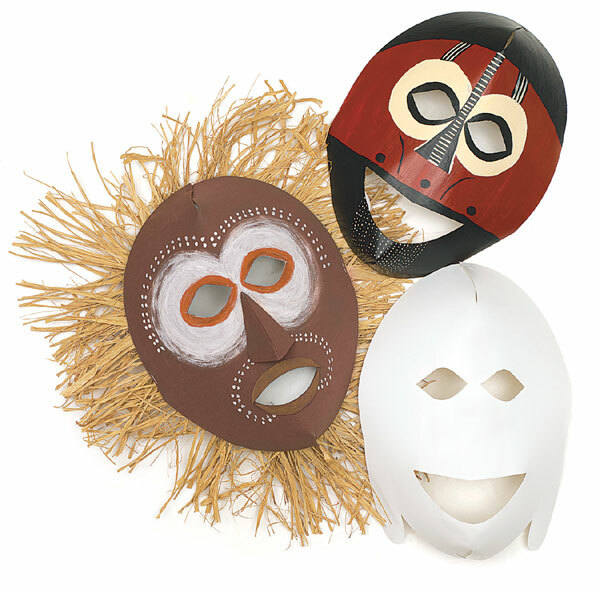 Try to incorporate a study of African folk tales along with this class project, and have students represent different characters or feelings with each mask. Masks measure 11" × 15" (28 cm × 38 cm) and come in packages of 20. Simply punch out, fold, staple, and decorate.